Let’s face it: emails are inevitable. Especially the ones that either you aren’t expecting or simply don’t have time to respond to—at least not immediately anyway. Not to mention they are sometimes notorious for disrupting workflow. 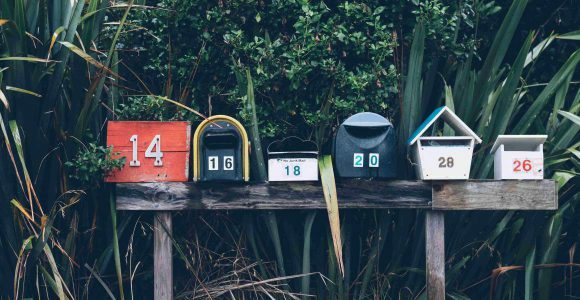 Finding simple, but useful ways to stay completely focused on your non-email tasks when your inbox is dinging every few minutes can seem like a challenge. When you feel like you’ve run out of hope in finding best ways to balance your email sanity, remember that there may be a couple more aces in the deck. And those aces go by the names of Shift 2.0 Notification Muting and Gmail Vacation Responder. Without even knowing you, I can confidently assume that you’re spending more time than you have available checking emails, responding to emails, organizing emails, writing emails, or some combination of all these. If I’m right, and this is the case, you’ll want to pay close attention to this next part. I mean, the stats speak for themselves. So, something must change if you’re ever going to protect your productivity. Now let’s run through how both of the “I’m busy” options will help you prioritize time away from stopping your workflow to respond to emails all day long. Assuming you’ve made the decision to use Shift (or you’re in the act of making that decision now *wink wink*), it’s easy to put the notification muting option to work for you. Thanks to feedback from our users and the work of our kickass dev team, Shift 2.0 automatically mutes notifications when you are busy. I promise I’m not making this up. You can keep email notifications at bay while you’re in your busy zone: in a meeting, on a video call with a client, scrolling through LinkedIn, or whatever else you have going on at the office—home or traditional—that day. This nifty little option works by syncing with your Gmail calendar and making sure that when you’re busy, you can stay busy. Notification muting is currently available to our Pro users and will work like a charm each and every time. To understand how Gmail’s vacation responder option would help you restore your email sanity, you should first understand what it is. The power of Gmail’s vacation responder option is that it works on your behalf. Technically, it’s in place to let people know you’re away from the office. But, I mean, if you can’t stop and respond to every single email, then it can relay something to the effect of that kind of message as well. SUBJECT: Thank you for your email! BODY: Thanks for contacting me. Rest assured I’ve received your email and will make every effort to respond as soon as possible. Simple as that. Nothing too long, and certainly nothing too robot-y. Balancing emails and ‘I’m busy’ is a daily pursuit for most people just like you. I know for sure it was a pursuit of mine back in the pre-Shift 2.0 days. But when you know better, you do better. ….that last part was supposed to rhyme, but you get the jist. When you’re busy, it’s not only unproductive but unprofitable to do things that could potentially destroy your return on time investment. In this case, that thing would be becoming a slave to your inbox. Don’t get us wrong: we’re all about email, but we’re all about being smart as well.